Polli Kobi Jasimuddin was remembered on his 115th birth anniversary yesterday. Marking the day in a befitting manner, different socio-cultural organisations held elaborate programmes across the country. Besides, satellite television channels and radio stations of Bangladesh aired an array of programmes paying tributes to the poet. Marking the day, Faridpur district administration and Jasim Uddin Foundation was held elaborated programmes at his native village Gobindapur on the bank of the river Kumar in the district. A discussion on the life and works of the poet and a doa mahfil were held. Jasimuddin was a Bengali poet, songwriter, prose writer, folklore collector and radio personality. He is commonly known in Bangladesh as Polli Kobi (The Rural Poet), for his faithful rendition of Bengali folklore in his works. Jasimuddin was born in the village of Tambulkhana in Faridpur District on January 1 in 1904 in the house of his maternal uncle. His father, Ansaruddin Mollah, was a school teacher. Mother Amina Khatun received early education at Faridpur Welfare School. He matriculated from Faridpur Zilla School in 1921. Jasimuddin completed IA from Rajendra College in 1924. He obtained his BA degree in Bengali from the University of Calcutta in 1929 and his MA in 1931. From 1931 to 1937, Jasimuddin worked with Dinesh Chandra Sen as a collector of folk literature. Jasimuddin is one of the compilers of Purbo-Bongo Gitika (Ballads of East Bengal). He collected more than 10,000 folk songs, some of which has been included in his song compilations Jari Gaan and Murshida Gaan. He also wrote voluminously on the interpretation and philosophy of Bengali folklore. Jasimuddin joined the University of Dhaka in 1938 as a Lecturer. He left the university in 1944 and joined the Department of Information and Broadcasting. He worked there until his retirement in 1962 as Deputy Director. He was an admirer of Guru Mrityun Jay Sil. Jasimuddin started writing poems at an early age. As a college student, he wrote the celebrated poem Kabar (The Grave), a very simple tone to obtain family-religion and tragedy. The poem was placed in the entrance Bengali textbook while he was still a student of Calcutta University. Jasimuddin is noted for his depiction of rural life and nature from the viewpoint of rural people. This had earned him fame as Polli Kobi (the rural poet). The structure and content of his poetry bears a strong flavor of Bengal folklore. His Nokshi Kanthar Maath (Field of the Embroidered Quilt) is considered a masterpiece and has been translated into many different languages. 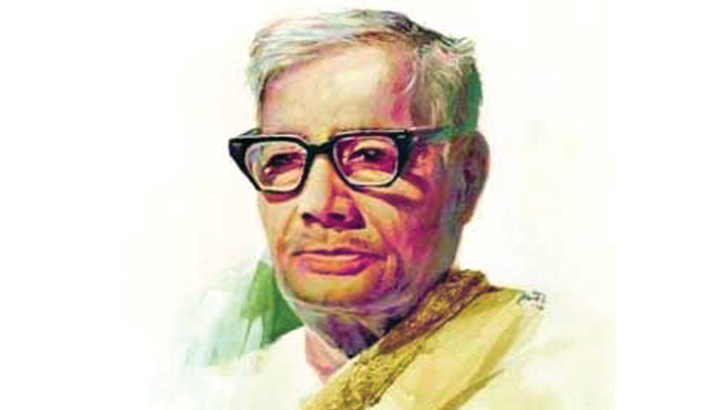 Jasimuddin also composed numerous songs in the tradition of rural Bengal. His collaboration with Abbas Uddin, the most popular folk singer of Bengal, produced some of the gems of Bengali folk music, especially of Bhatiali genre. Jasimuddin also wrote some modern songs for the radio. He was influenced by his neighbor, poet Golam Mostofa, to write Islamic songs too. Later, during the Liberation War of Bangladesh, he wrote some patriotic songs. In recognition of his contributions, Jasimuddin was honoured with President's Award for Pride of Performance, Pakistan (1958), D.Litt by Rabindra Bharati University, India (1969), Ekushey Padak, Bangladesh (1976), and Independence Day Award (1978). Jasimuddin died on 13 March 1976 and was buried near his ancestral home at Gobindapur, Faridpur. A fortnightly festival known as Jasim Mela is observed at Gobindapur each year in January commemorating the birthday of Jasimuddin. A residential hall of the University of Dhaka bears his name.